Today I have been in the mood to do some school stuff, so I figured I might as well take advantage of it! 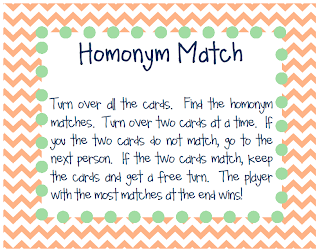 One of the skills within the first week is homonyms. 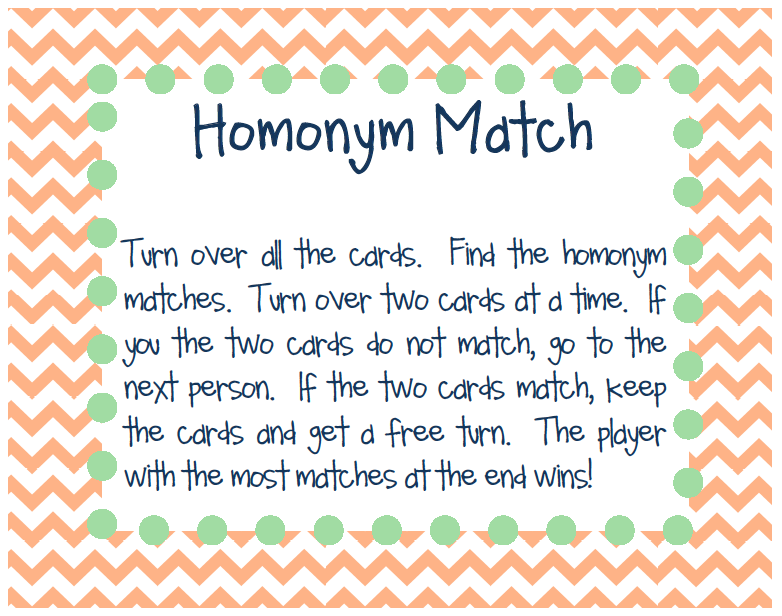 I made this matching game as a center for my 3rd graders. To get this freebie, visit my Teachers Pay Teachers store here and get the freebie. If you think of it, please leave your feedback. Thanks!